New York City may be a saturated agency market, but a handful of PR firms from London have opened offices here in recent months citing its growth potential. 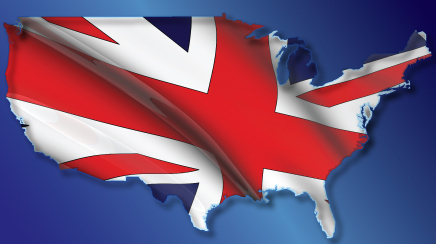 Trans-Atlantic expansion is a strategy being embraced by many UK firms of late. In the last year alone, almost a half-dozen mid-sized London shops have opened offices in New York, including Diffusion, John Doe, and Frank PR. Others that already had significant presences in Europe and the Asia-Pacific regions, such as Hotwire PR, have launched their first American offices in New York. But why is this British agency invasion happening now – and why New York? For one, London agency executives emphasize that Europe is plagued by economic troubles. The European economy continues to be dragged down by low consumer demand as well as debt crises affecting many countries. Some agencies, like Diffusion, serve European clients through agency partnerships in various cities. “That model [for Europe] has worked well for us,” says Ristic. He estimates that 40% of the agency's campaigns launch in the UK and parts of Europe, including one for mobile software specialist Antenna, which also signed on as one of Diffusion's first US clients. “But that [partnership] model wasn't going to be right for the US,” he explains. Sherry Bitting, a global communications consultant in London who previously worked in New York for agencies such as Porter Novelli and digital agency Complex Media, says North America is the final frontier for London agencies. As a three-year-old agency that works to connect brands with popular and contemporary culture, John Doe wanted a New York office in addition to its London headquarters, says agency cofounder Rana Reeves. Yet the big question is whether UK-based agencies will be able to make their mark in New York's crowded agency ecosystem. Brendon Craigie, group CEO and cofounder of Hotwire, says UK agencies can find success in America because they offer a different approach and business model than their US counterparts. Hotwire has grown its US staff to 12 in New York and San Francisco, its first offices in North America that the company launched last November. It works with clients such as software provider Pegasystems and Buy.com. When researching the viability of a New York office, Diffusion's team concluded there is “a market opportunity on the East Coast for mid-sized players,” says Ristic. Diffusion has about 40 staffers in London, a number it would be thrilled to have in New York someday.